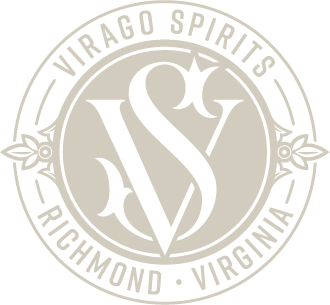 RICHMOND, Va. (March 20, 2019) — Virago Spirits, LLC is proud to announce that its Four-Port Rum and Ruby Port Cask-Finished Rum won prestigious honors in the 2019 Judging of Craft Spirits by the American Distilling Institute (ADI). The awards were given at the 2019 Craft Spirits Conference and Expo held in Denver, Colorado on March 19, 2019. In a blind tasting, 53 judges evaluated more than 850 artisan spirits from around the world and awarded Virago Spirits with Double Gold, Gold, Best of Class and Best of Category awards. Fewer than 2% of submissions received a Double Gold Medal, and approximately 8% of submissions received a Gold Medal. Fourteen spirits received Best of Class designation. Four-Port Rum is a blend of pot- and column-distilled rums, aged up to eight years, from Barbados, Jamaica, Nicaragua, and Panama. A premium aged blend, Four-Port Rum harmoniously balances the bold spice and earthy funk of British-style rums with the softer, more seductive profile of Spanish-style rums. Ruby Port Cask-Finished Rum is the first in a series of cask-finished products and was aged in freshly-emptied casks of ruby port from Portugal’s Douro Valley. This spirit exudes an earthy depth, featuring layered notes of campfire, brown sugar, black cherry, pipe tobacco and leather with a finishing hint of candied almond. “Noting the caliber of all spirits submissions and the rigorous judging standards employed by ADI, we are thrilled with the results of this year’s ADI Judging of Spirits. We strive to create unique spirits of character that respect tradition while simultaneously pushing boundaries, and we appreciate these recognitions as validations of that approach,” said Barry Haneberg, Co-Founder and Co-Distiller. “We believe that we are witnessing a renaissance in aged rums, and we are very excited to contribute to the further development of this spirit category,” said Brad Haneberg, Co-Founder and Co-Distiller. The American Distilling Institute (ADI) is the oldest and largest trade association dedicated to craft distilling in the world. Founded in 2003, ADI has become a beacon for the craft distilling community— providing their global network of small-batch, independently-owned distillers with a go-to source for any and all information on their craft. ADI exists to promote and defend the enterprise of craft distilling. It started the Judging of Craft Spirits Awards in 2005 to recognize and promote distillers and blenders producing world’s finest quality artisan spirits, now the oldest and the largest competition dedicated to craft spirits. For more information, visit www.distilling.com.